Edward Bethea serves as the Executive Vice President and Chief Operating Officer of Gateway Community Action Partnership. He oversees all financial, managerial and revenue-generating departments and activities within the agency. He is the chief negotiator of all contracts and leases and serves as chief developer on all construction projects. Other departments besides Finance & Accounting he oversees include Head Start, Health Services, Economic Development, and Facilities Management. He brings years of experience in tax consulting, financial planning, cashflow projection and asset management to Gateway, and maintains approval authority on all agency spending. He is also directly responsible for the interactions between Gateway and financial institutions and governmental entities. Mr. Bethea holds a Bachelor of Science in Accounting from Rutgers University in New Brunswick, NJ with a concentration in Administrative Services. He is currently serving as a member of the Inspira Foundation Board of Directors, Cumberland County Empowerment Zone, and the Cumberland County Utilities Authority. 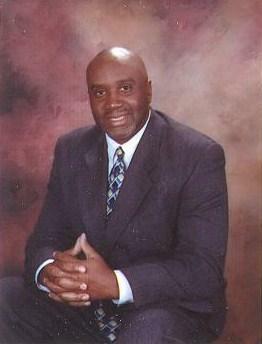 He also serves on the Advisory Board of PNC Bank. In 2018, Mr. Bethea was elected to the City of Bridgeton’s - City Council. He is a past president of Bridgeton Main Street Association and the Bridgeton Board of Education, a past member of the South Jersey Economic Development District, and the Cumberland County Planning Board. Mr. Bethea is also former Treasurer of the NAACP Greater Vineland Chapter and lifetime member, as well as, a member of organizations including Omega Psi Phi Fraternity, Inc. – Upsilon Alpha Graduate Chapter of Atlantic City and Beta Iota Iota Graduate Chapter of Cumberland County, the National Association of Black Accountants, and Union Baptist Temple, in Bridgeton.